I got an OWI drunk driving…what now? Under Iowa law, you are not legally obligated to perform field sobriety tests. The hand-held preliminary breath screening test (pbt), for purposes of an OWI prosecution, is inadmissible at trial. 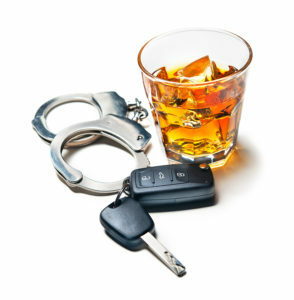 However, if there are reasonable grounds to believe you are intoxicated, the officer likely will ask you to provide a breath test at the police station under Iowa’s implied consent procedures/laws, and possibly a urine test if he/she suspects that you have drugs in your system. Remember, you do have the right to make a phone call to a family member or attorney before making your decision whether or not to take the test, and even have the right to an in-person consultation with an attorney. If you refuse the implied consent test, your license to drive will be revoked for one year for a first license revocation. You will also become ineligible for a deferred judgment. If you take the test and are above .084, then the revocation period will be 180 days (or about six months). If your implied consent test result is .150 or above, you are ineligible for a deferred judgment. You are only eligible for a deferred judgment for a first offense OWI; not if you have had a prior OWI conviction or deferred judgment. There also are varying consequences in terms of when/how soon you might be able to obtain a temporary restricted license/work permit/school permit, based on whether or not you consented to the test, whether or not there was an accident, and your age. The requirements also vary based on how high your result was. You can request a second blood alcohol content (BAC) test if you believe the first test was inaccurate, perhaps owing to mouth alcohol. You can ask to blow in the Datamaster breath test a second time if you wish, after a 15-minute wait period. Or you can request an alternate test, such as blood or urine, instead of breath, but only after you have taken the first implied consent test requested. The drawback is that blood or urine could detect other substances, such as drugs. Be aware that any detectable amount of marijuana metabolite or other illegal drugs in your urine is per se evidence of OWI in Iowa. However, if you have a valid prescription, are not mixing your prescription drugs with alcohol, and are not abusing your prescription drugs, then the law is not violated. Immediately request a hearing with the Iowa Department of Transportation (IDOT) if you wish to appeal your license revocation. You must to do so within 10 days. Hence, the sooner the better – or you lose your right to an administrative hearing, and your driver’s license revocation will be enforced. Participate in a substance abuse evaluation. Following a charge of OWI, a substance abuse evaluation is required of you by nearly every judge, subject to contempt proceedings. At the evaluation, you will be asked to sign a waiver. Inform them that you will authorize the release of the evaluation to your attorney only. Do not allow release to anyone else until after your lawyer has reviewed the results. Your lawyer will then decide what steps to take next. The State prosecutor has 45 days to file formal charges. Unless there is good cause for a late filing of the trial information, the court will dismiss the charge with prejudice if filed more than 45 days after your arrest and initial appearance before the judge.The case against you will move forward only if the evidence listed in the minutes of testimony filed in conjunction with the trial information by the state could warrant a conviction by a jury. A note about preliminary hearings. In Johnson County, and several other counties, there is no preliminary hearing, and you do not need to attend. It essentially is a legal fiction. Do not worry about it. They give you a date and set it, but you do not need to attend or appear. This date is more relevant for those who remain incarcerated. But if you are free, ignore it. Arraignment after formal charges are made. Once the formal charges are filed via trial information, an arraignment and/or case management conference hearing will be set by the court. Typically you will be required to attend unless a plea agreement or plea is on file before that date. Usually the State will provide police reports and sometimes video after the trial information is filed, and your lawyer will have time to review those items before deciding what to do next. Interim period between arraignment and pretrial. After arraignment, typically either there will be another case management conference, or a pretrial conference date will be set. If you demand speedy trial, the state must bring you to trial within 90 days of the filing of the trial information. Your lawyer will decide whether the filing of motions is appropriate, such as motions to suppress evidence as a result of the violation of your rights. This must be done within 40 days of your arraignment unless there is good cause to do so otherwise. You also can decide whether or not to conduct depositions of the witnesses. Be prepared for fines. If you plead guilty or are found guilty, the fines, civil penalties, court costs, and various other fees (probation fee, OWI weekend program) tend to cost in the ballpark of $2,000 or more, for first offenders, give or take. Sometimes more, sometimes less, depending on several factors which you can discuss with your lawyer. These rules change for second and third offenses. The driver’s license penalties and criminal legal consequences become increasingly more harsh for each subsequent offense: 1 year license revocation for a test over .084 for a second revocation/offense, 2 years for a refusal. If you plead guilty or are found guilty of three OWIs in a twelve year period, you will be subject to a 6-year license revocation even if you took the test. The jail requirements and fines are higher for each subsequent offense. Under Iowa law, you don’t have to drive to violate the law – you only need to “operate,” any motorized vehicle (not just cars), which means be in control of a motorized vehicle with the engine running. So if you were sitting in the driver’s seat, with the engine running, and at that time you were intoxicated, technically you can be convicted. The law applies anywhere in the state. For more information, Contact Adam Pollack Law for a free consultation. Still looking for more information? Check out the OWI page.